Axl Rose wrote the lyrics while visiting a friend in Seattle. "It's a big city, but at the same time, it's still a small city compared to L.A. and the things that you're gonna learn. It seemed a lot more rural up there. I just wrote how it looked to me. If someone comes to town and they want to find something, they can find whatever they want. "[who said this? Rhythm guitarist Izzy Stradlin summarises the song as "about Hollywood streets; true to life." 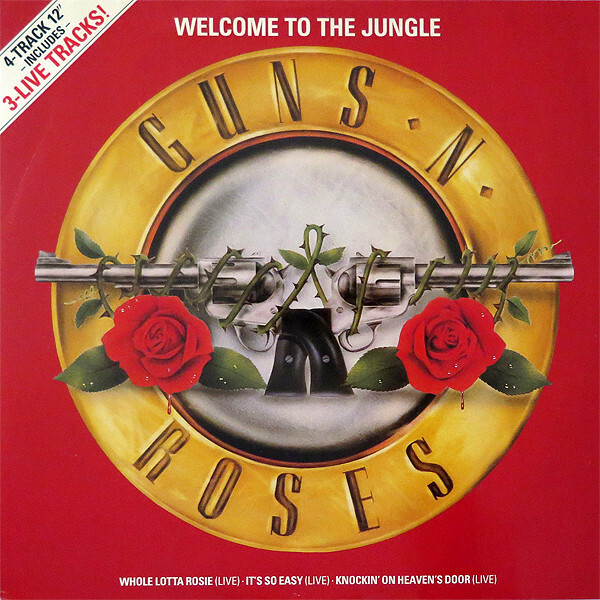 Slash describes the development of the music of "Welcome to the Jungle" in his self-titled autobiography. As the band was trying to write new material, Axl remembered a riff Slash had played while he was living in the basement of Slash's mother's house. He played it and the band quickly laid down the foundations for the song, as Slash continued coming up with new guitar parts for it. He credits Duff McKagan as coming up with the breakdown. Duff contradicts this in his autobiography, It's So Easy (and other Lies), saying it was from a song called "The Fake" that he wrote in 1978 for the Vains, a punk band he was in. He also said it was the first song he ever wrote, and that it was later released as a single by the band.According to Slash, the song was written in approximately three hours. Rose claimed inspiration for the lyrics came from an encounter he and a friend had with a homeless man while they were coming out of a bus into New York. Trying to put a scare into the young runaways, the man yelled at them, "You know where you are? You're in the jungle baby; you're gonna die!"